Ms. Bonds has over 10 years of experience in government and legislative affairs. She has worked with government officials at the local, state and national level. During her career, Ms. Bonds held roles at several state agencies, and she has handled a wide range of government issues. She has assisted with drafting legislation and veto recommendations for complex policy issues; contributed to the development of policy agendas; coordinated the implementation process at the conclusion of legislative sessions; and provided officials with research for bill proposals and impact analysis. Prior to joining Dean Mead, Ms. Bonds was the director of legislative affairs for the Florida Division of Emergency Management. Along with the other aspects of her position, she was involved in the response to Hurricane Michael. Ms. Bonds assisted with the communication of vital disaster information to members of the Florida House of Representatives and Senate and U.S. Congress, as well as local officials. Ms. Bonds also served as director of legislative affairs for the Florida Department of State and deputy director of legislative and cabinet affairs for the Florida Department of Highway Safety. 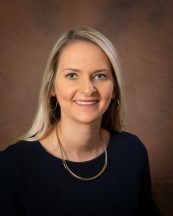 Additionally, she has worked for the Executive Office of the Governor, Office of Policy and Budget, Florida Department of Agriculture and Consumer Services, and Florida Department of Environmental Protection.